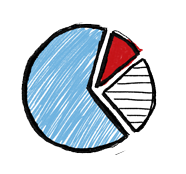 What exactly is Business Acumen? 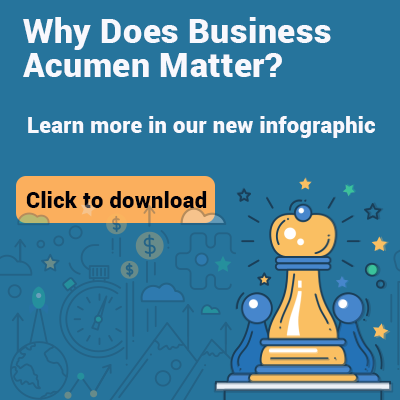 This approach to understanding Business Acumen enables business professionals to follow a logical progression that helps them make the right decisions to drive the best business results for their own companies and clients. Understanding all of these elements enables employees to lead effectively and make the best business decisions that support the strategy and achieves its goals and objectives. The final step in successfully learning about Business Acumen is understanding how "our customers" make money. Every employee working within a business organization needs to understand how customers make money so employees can align the value proposition of their company to the needs of their customer’s company. Again, the core elements of what needs to be understood here are similar, but are focused on fully understanding the dynamics of your customer’s business. Understanding all of these elements enable employees to lead effectively and make the best decisions that supports the ability to deliver the products /services your customers need to execute their strategy and achieves their goals and objectives. 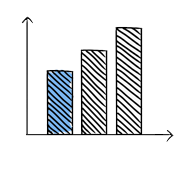 Please complete the form below to learn more about how Advantexe can help your company improve business performance. To learn more about Advantexe and how we can partner together to help improve business perofmance, please complete the form below.